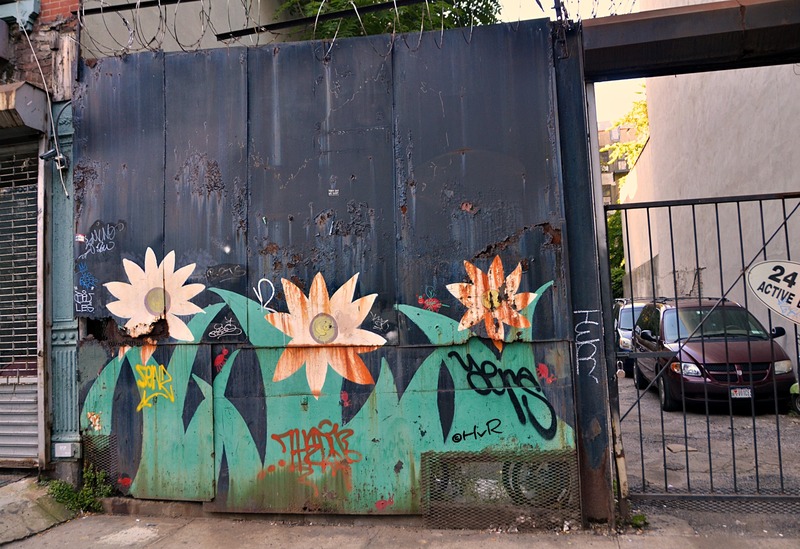 Photo of the day: STEEL MAGNOLIAS – In a city of concrete, steel and rust, surprising flowers bloom. Photo of the day: COME INSIDE – Take it to mean whatever you want, but this mural ad certainly draws your attention for the Station Restaurant & Bar at 166 North 7th Street and Bedford Avenue in hotter than hot Williamsburg, Brooklyn. Just take the “L” train to the Bedford Avenue stop. Located at the heart of the bustling Williamsburg scene at Bedford Avenue, Station brings the feel of an old-world European train station café and restaurant in a contemporary setting. Amazing dining and drinking in a casual atmosphere, serving a premier selection of curated foods in a comfortable and friendly environment where guests are old friends. The food is Bistro Cuisine on vacation in Brooklyn, an eclectic mix of cultures and flavors emerging from the traditions of Europe. Come to Brooklyn where old world New York still thrives!